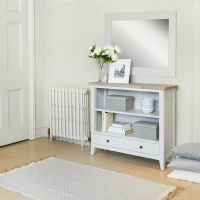 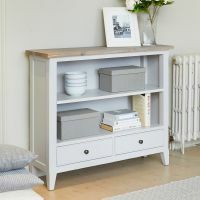 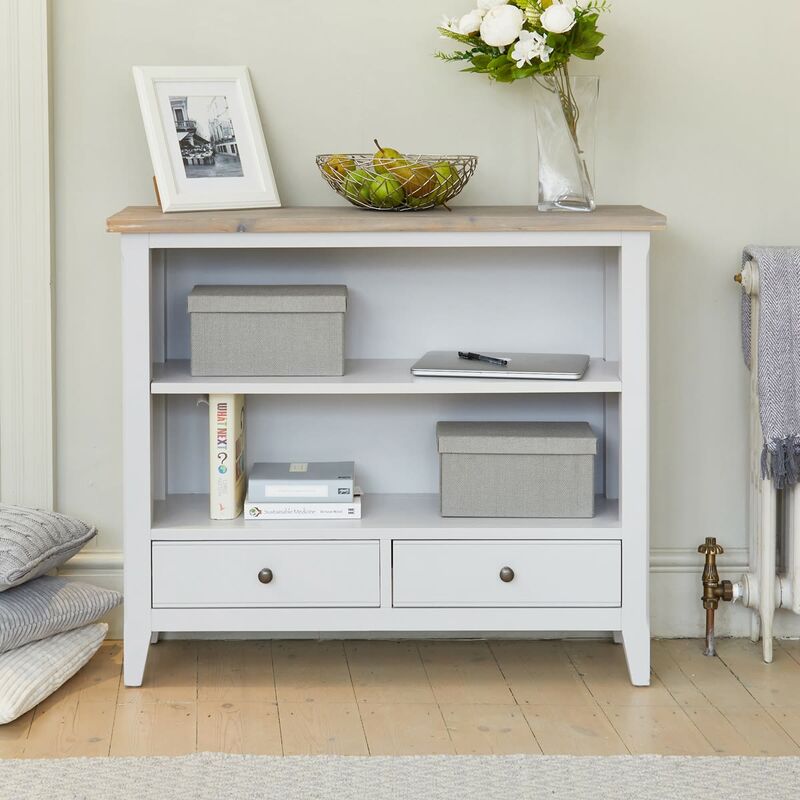 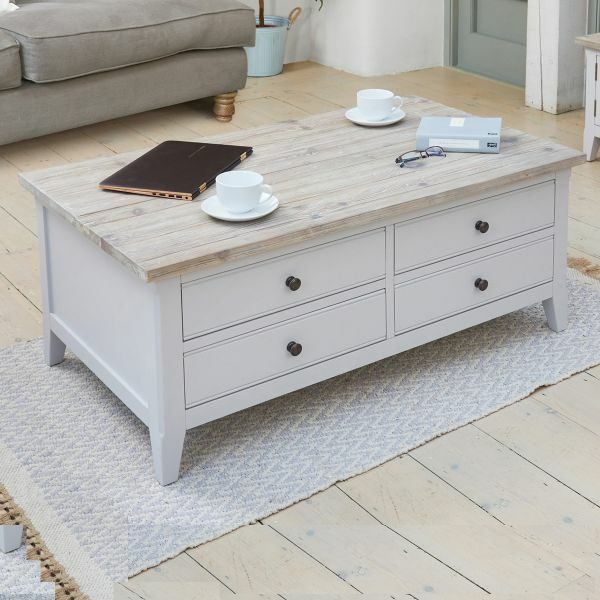 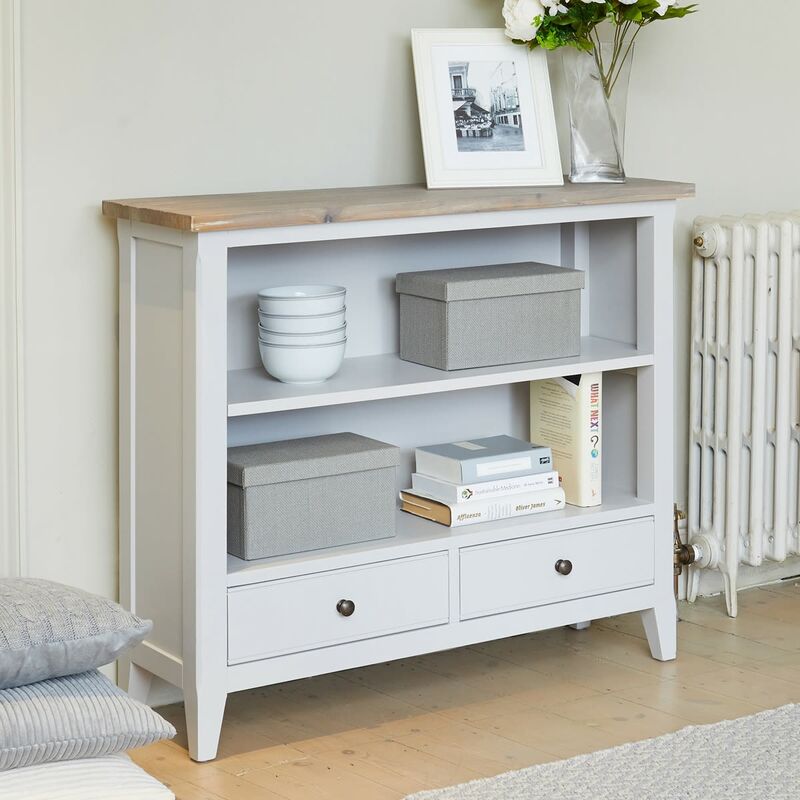 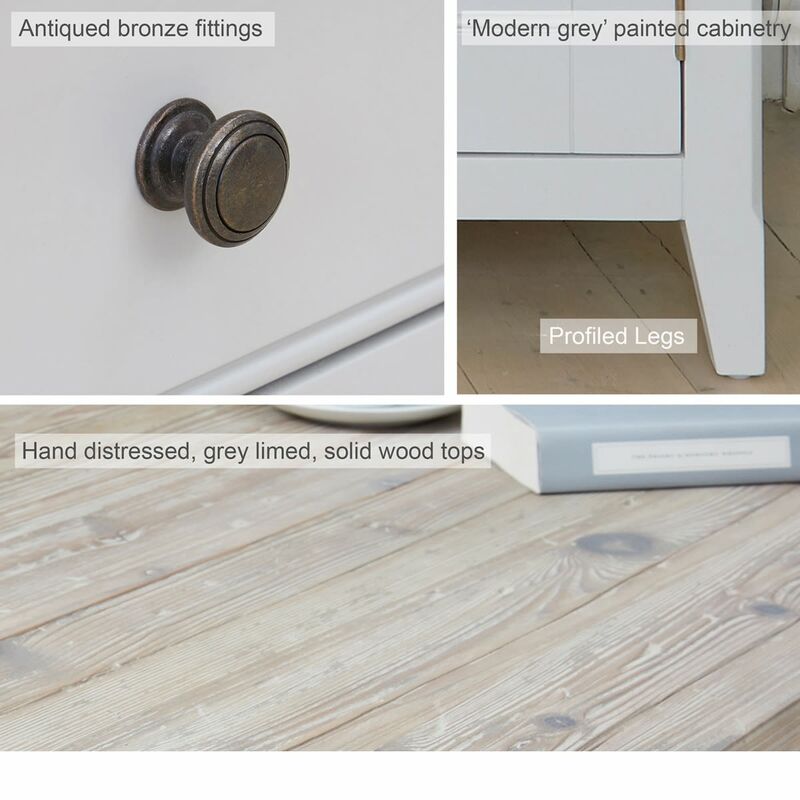 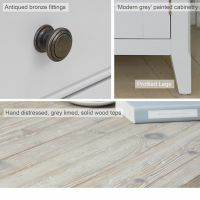 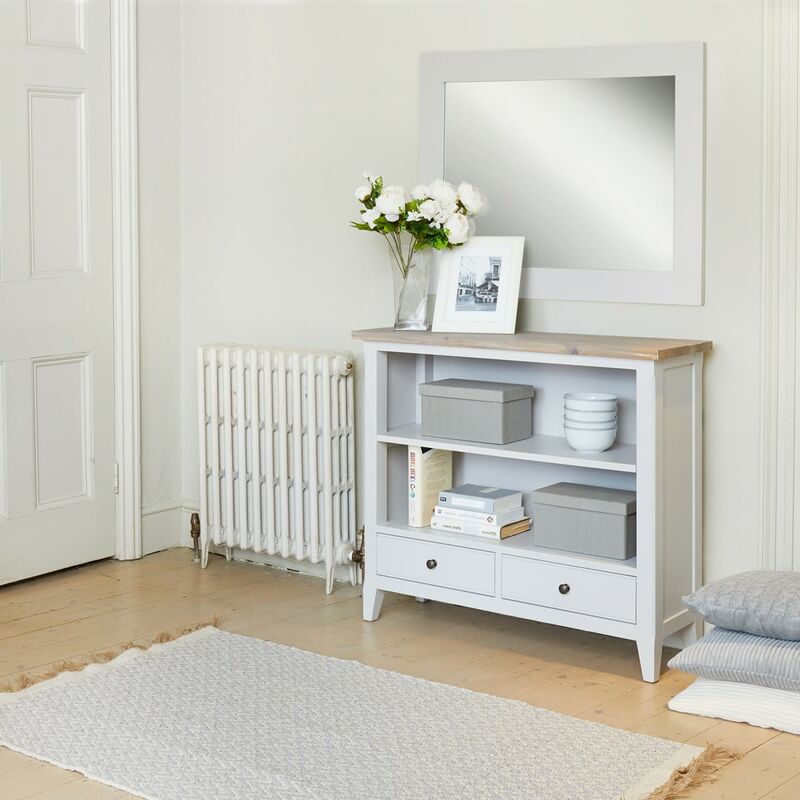 This superb Signature Grey Low Bookcase is the perfect size to fit just about anywhere in your home and the soft grey tones and clean elegant lines will enhance any space. Filled with books or displaying some of your favourite ornaments, its two sturdy shelves and two drawers will give you ample storage space, while the contrasting hand limed top provides extra display space. 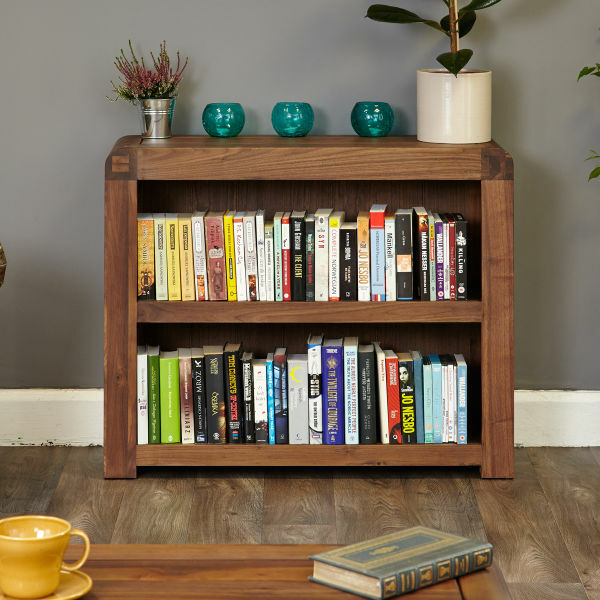 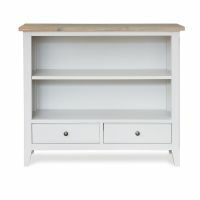 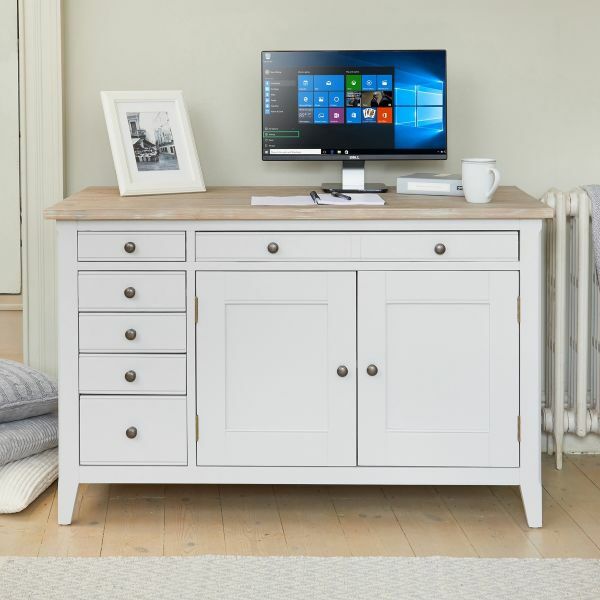 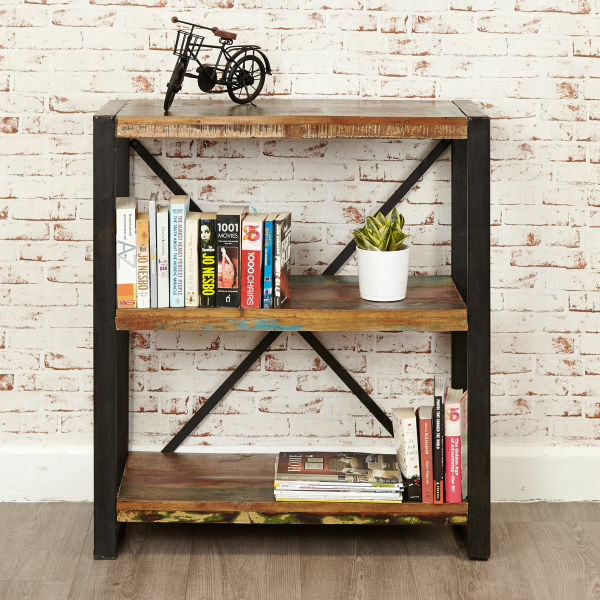 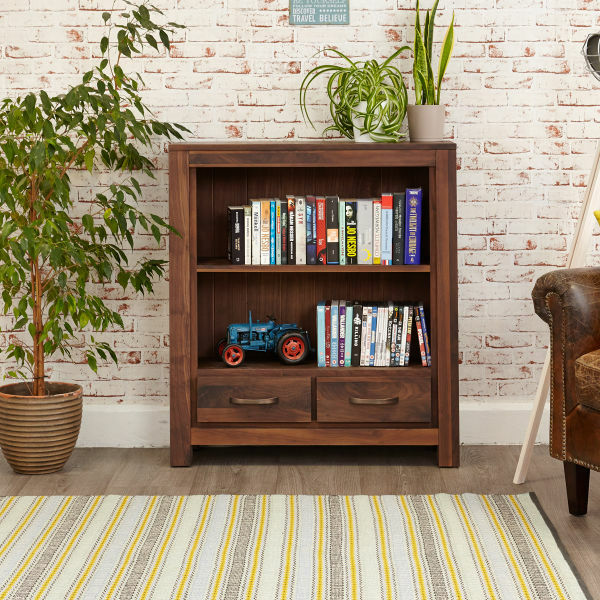 Crafted from solid wood throughout, this beautiful bookcase is solidly built, delivered fully assembled within five working days and comes with a five year manufacturer warranty. 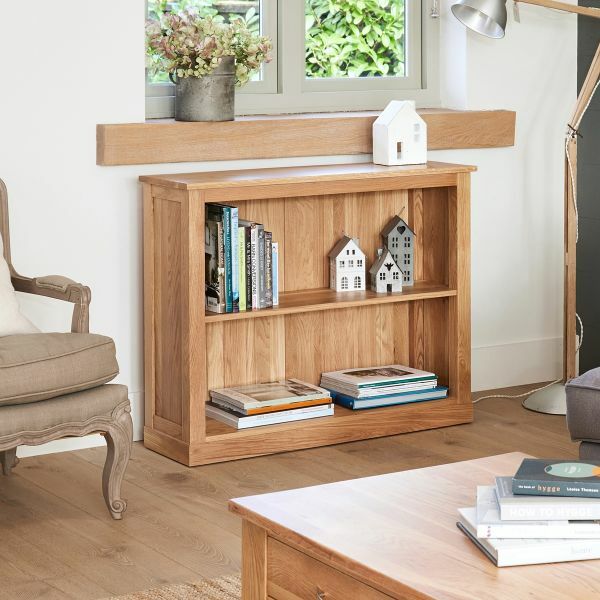 If you're looking for a stylish alternative, why not consider our best selling Mobel Oak low bookcase?